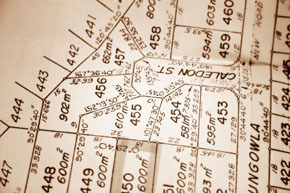 A change in the zoning designation of property raises complex issues of property rights as such a zoning change often results in a loss of property value. Municipalities contemplating the rezoning of a parcel and the property owners faced with a rezoning must each act to ensure that the process protects property rights and reflects legitimate governmental interests. The attorneys at Silverberg Zalantis LLC have over thirty years of experience in addressing these issues for both municipalities and individual property owners. Our lawyers have worked on some of the leading cases in New York involving issues relating to the rezoning of property. We have assisted our municipal clients in making certain that the procedural and substantive requirements for rezoning have been met in order to withstand challenges. In addition, we have assisted property owners in challenging rezoning of their property when the procedural and substantive requirements have not been followed. Whether you are a municipality contemplating the review of local zoning regulations or a property owner caught up in a rezoning process our experienced attorneys can help to ensure the process is fair and adequate.